DALLAS (WBAP/KLIF) – A donation shortfall over the winter holidays is prompting the American Red Cross to issue an emergency call for blood donors to give now to prevent a blood shortage from continuing throughout winter and affecting patient care. According to The Red Cross, it collected more than 27,000 fewer blood donations the weeks of Christmas and New Year’s than needed to sustain a sufficient blood supply. 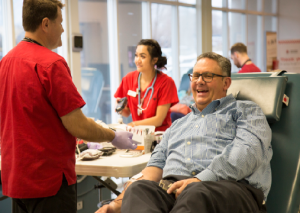 During this period, about 1,350 fewer blood drives were hosted by volunteer sponsor groups than required to meet patient needs as busy holiday schedules kept many donors away. 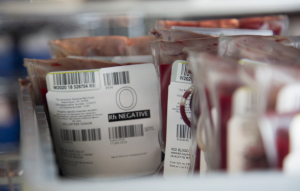 All eligible donors, especially blood donors with type O blood, are urged to make an appointment to give in the coming days to help restock the shelves for hospital patients. Eligible donors can find a blood donation opportunity and schedule an appointment to donate by using the free Blood Donor App, visiting RedCrossBlood.org or calling 1-800-RED CROSS (1-800-733-2767). Volunteer blood drive hosts are also critically needed to prevent the shortage from worsening this winter. 1/25/2019: 10 a.m. – 4 p.m., Baylor Scott & White Medical Center at Plano, 4700 Alliance Blvd. 1/15/2019: 1 p.m. – 7 p.m., The Fairways at Prestonwood Apartments, 5769 Belt Line Rd. 1/18/2019: 8 a.m. – 2 p.m., Foundry Commercial, 8144 Walnut Hill Ln. 1/23/2019: 9 a.m. – 3 p.m., Solar Turbines, 215 E Centre Park Blvd. 2/9/2019: 9 a.m. – 3 p.m., North Garland High School, 2109 Buckingham Rd. 1/26/2019: 10 a.m. – 4 p.m., Parkside Baptist Church, 1729 Gross Rd. 2/13/2019: 10 a.m. – 4 p.m., Eastfield College -Building C, 3737 Motley Dr.
1/21/2019: 10 a.m. – 4 p.m., McDonald’s Campbell Rd. In Richardson, 170 W. Campbell Rd. 1/18/2019: 9 a.m. – 3 p.m., Toyota Denton, 4100 S. I-35 E. Frontage Rd. 1/24/2019: 9 a.m. – 3 p.m., Billy Ryan High School, 5101 E. McKinney St.
1/21/2019: 9 a.m. – 3 p.m., Auto Nation Nissan Lewisville, 1601 S. Stemmons Fwy. 2/1/2019: 1 p.m. – 6 p.m., Burleson Honda, 632 North Burleson Blvd. 2/11/2019: 12 p.m. – 6 p.m., Lowe’s Burleson, 920 N. Burleson Blvd. 1/18/2019: 12 p.m. – 6 p.m., Lowe’s – Arlington, 1000 W. Arbrook Blvd. 2/7/2019: 9 a.m. – 3 p.m., Colleyville Heritage High School, 5401 Heritage Ave.
1/29/2019: 10:30 a.m. – 4:30 p.m., Fort Worth Academy of Fine Arts, 3901 S. Hulen St.
2/3/2019: 9 a.m. – 3 p.m., St. Thomas the Apostle Catholic Church, 5969 Bowman Roberts Rd.